Star Wars Battlefront double points weekend is here where players can gain extra points during multiplayer that will help to level you up quicker. The Battlefront double points, or double score, event will run from December 18th to December 20th. Electronic Arts is having this event to coincide with the release of the new Star Wars movie, The Force Awakens, which hit theaters on Friday. When playing multiplayer games on your PC, Xbox One, or PlayStation 4, you will gain an added bonus at the end of the match. 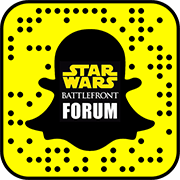 Since your Battlefront credits are based upon your score, you will also receive more money in the game to help unlock new things such as emotes, weapons, or personalizations. So not only do you get double score to help you level up, you will also earn more credits to help you unlock or upgrade more items. This will give you the chance to reach level 40 quicker where you can start to unlock some really cool player customizations. On the rebel side you can unlock Sullustan, Duros, and Rodian characters to play as while you can unlock the Scout Trooper on the Imperial side once you reach level 40. So if you love playing Star Wars Battlefront, be sure to play this weekend so you can take full advantage of the double score event.